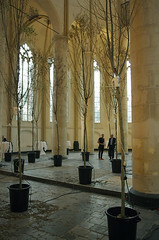 Expositie ‘Om’ van Geert-Jan Hobijn from Witteveen+Bos on Vimeo. 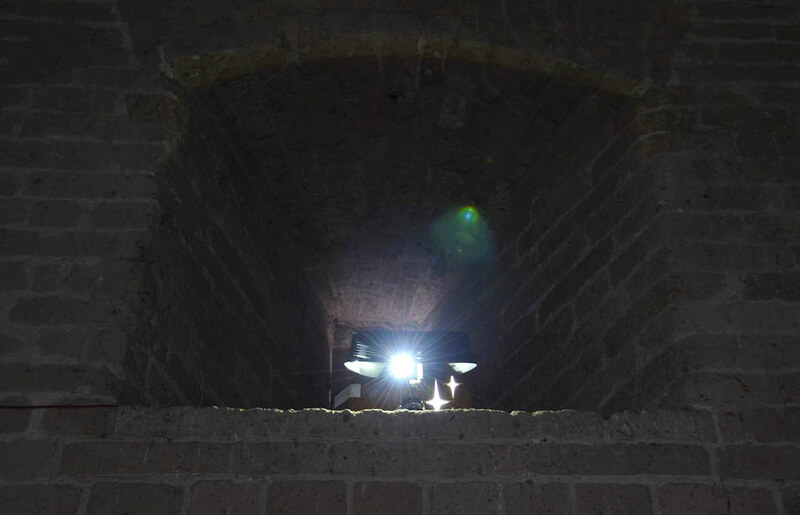 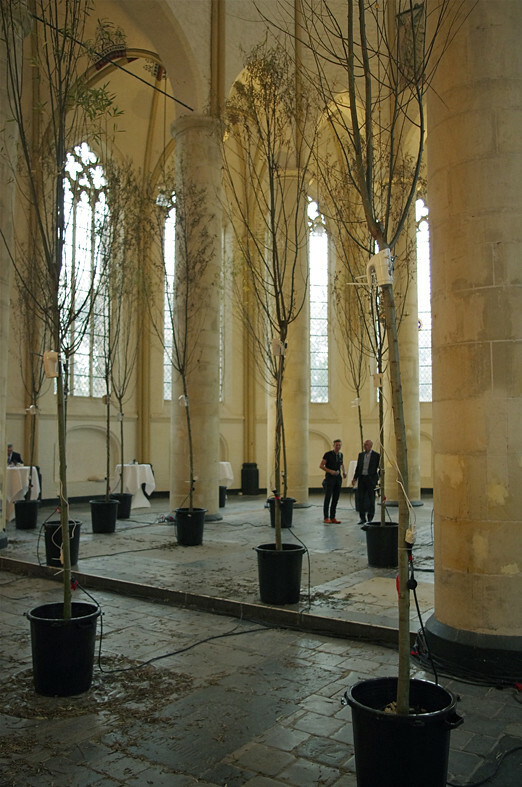 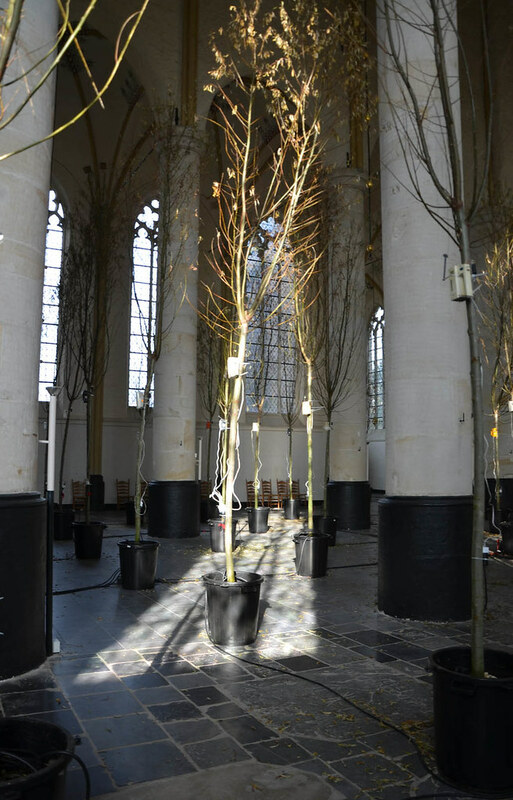 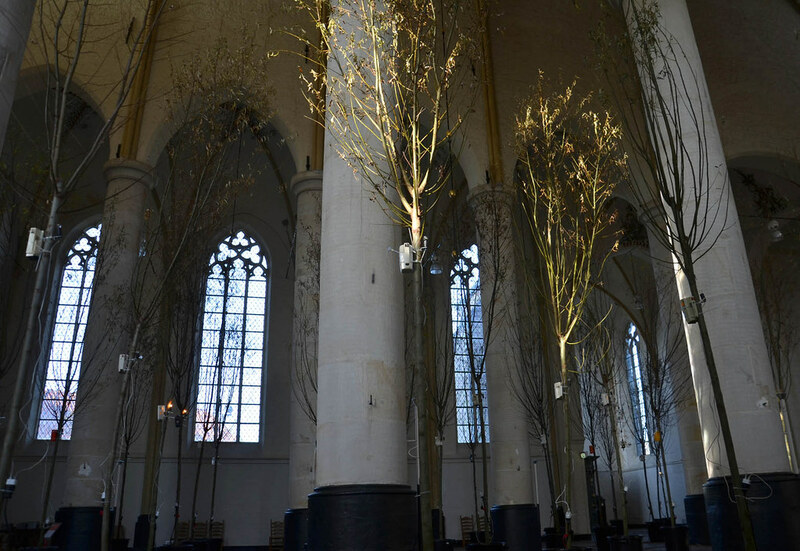 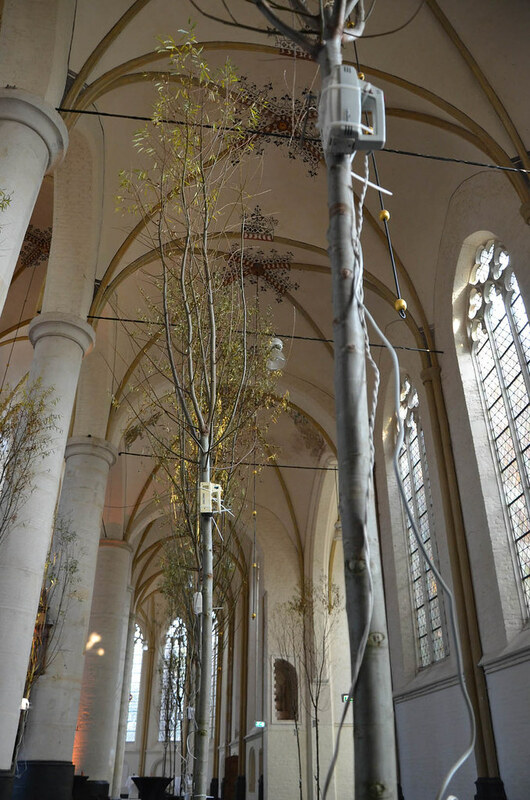 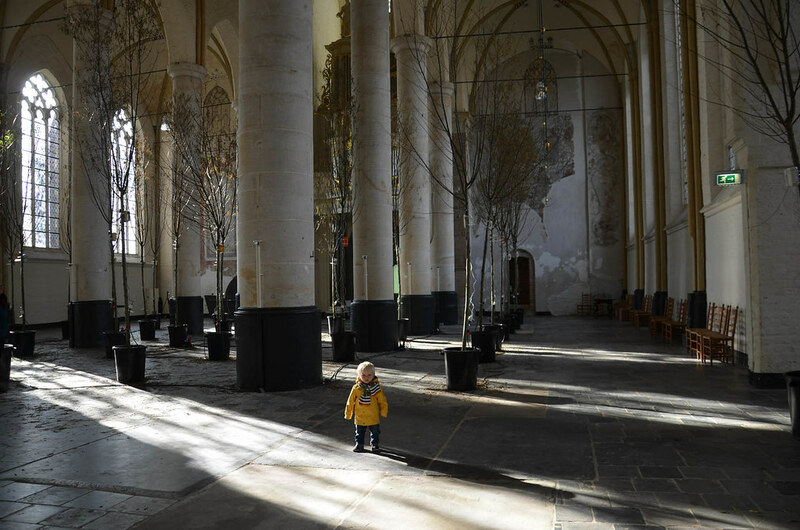 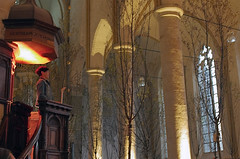 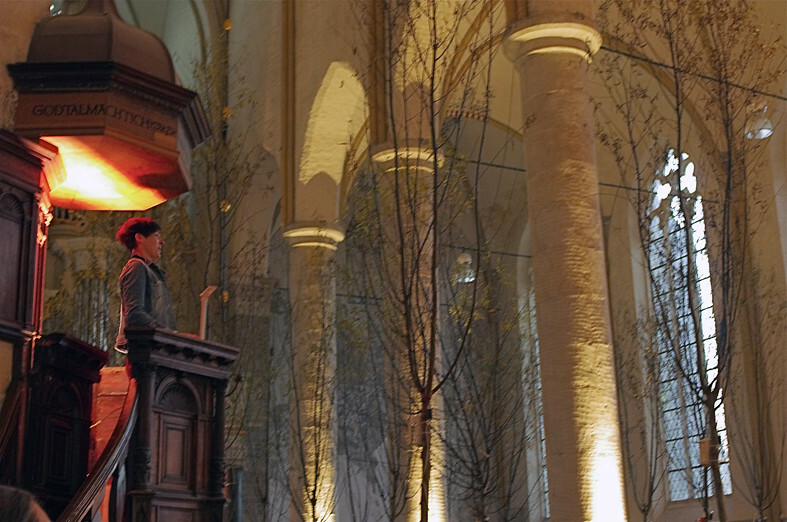 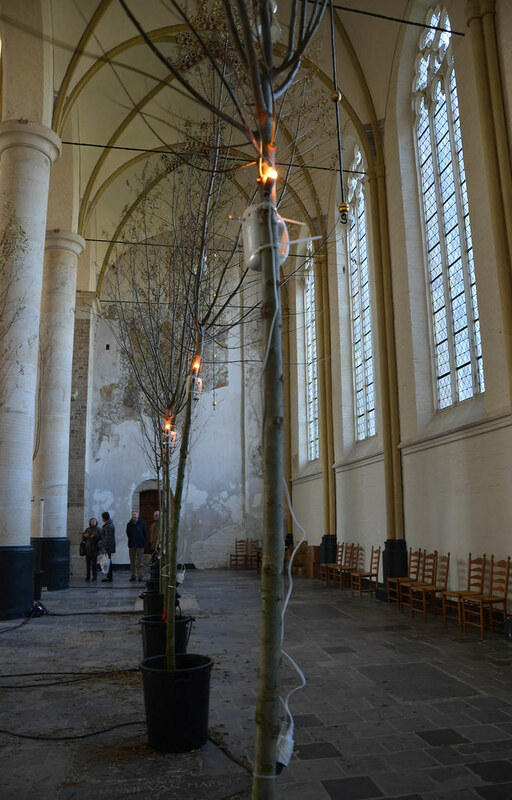 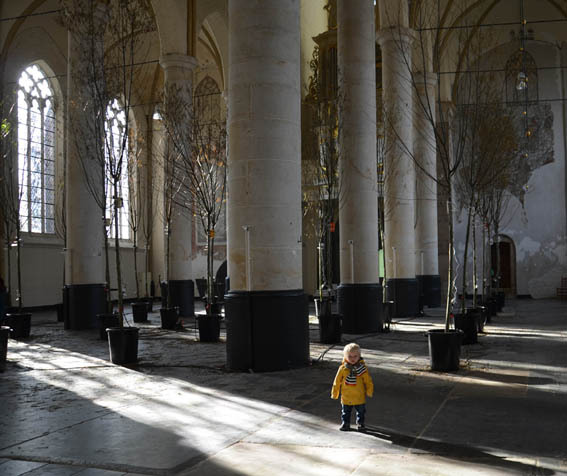 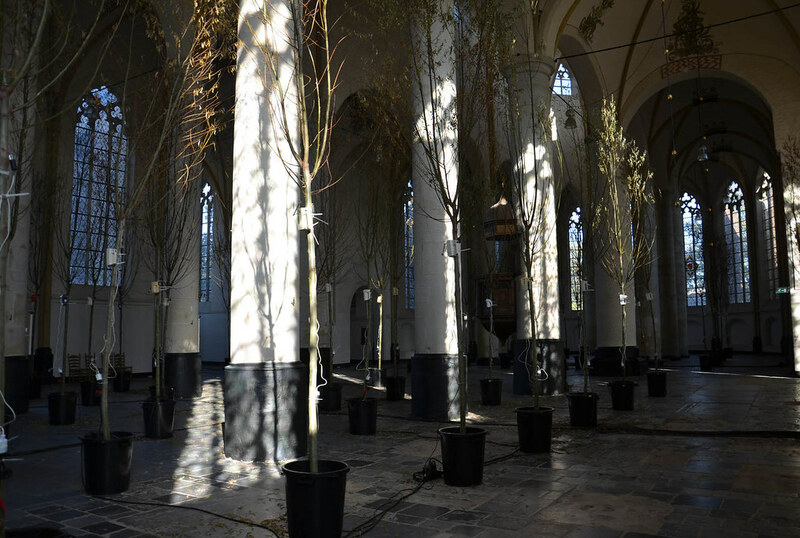 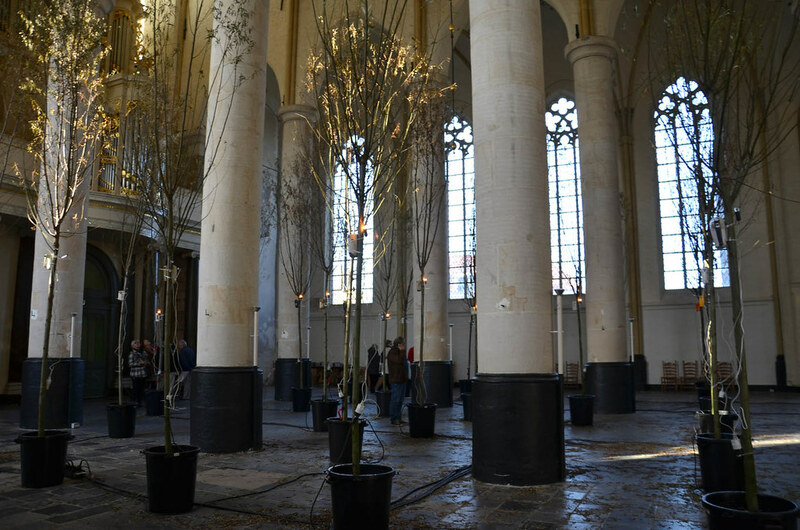 Staalplaat soundsystem created an indoor version of our work ‘Composed Nature’ inside the Bergkerk Church as part of the exhibition ‘Om’, which was organised to mark the Art+Technology Award 2014. 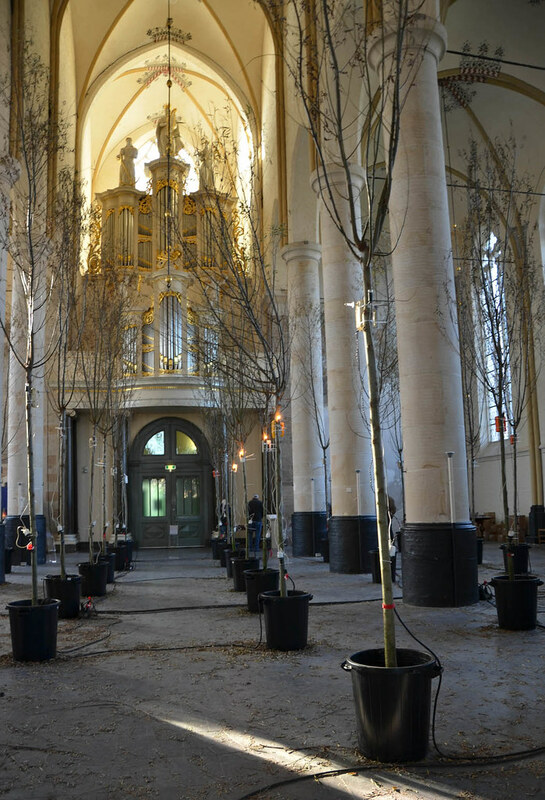 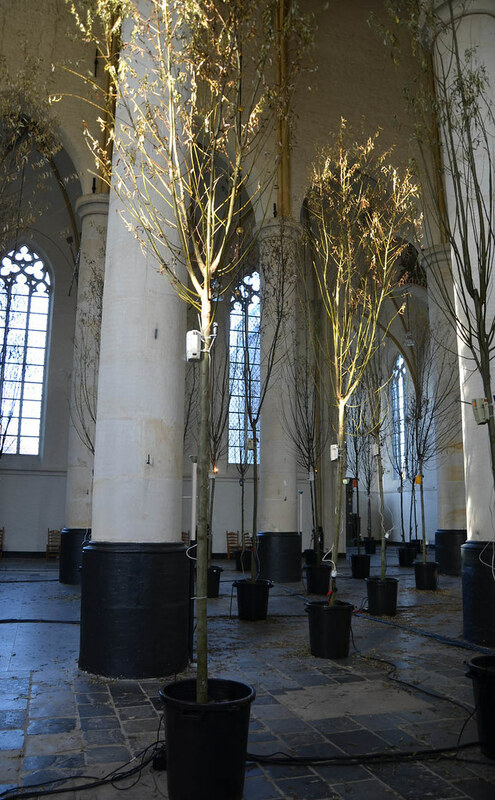 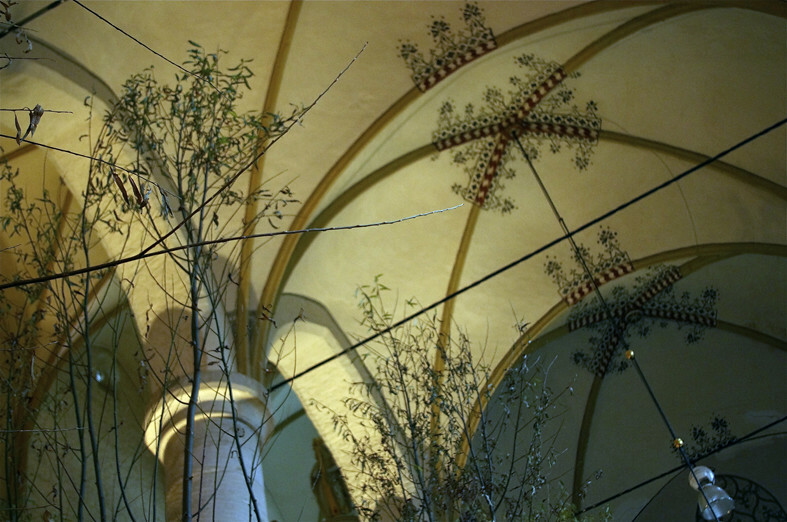 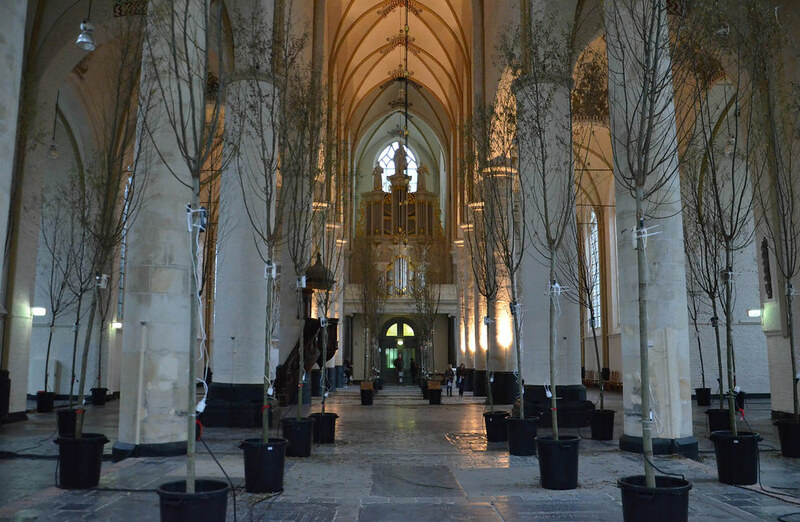 Seventy trees placed in the centre of the church, and the rustling sounds emitted by this ‘forest’ used to perform specially composed pieces of music. 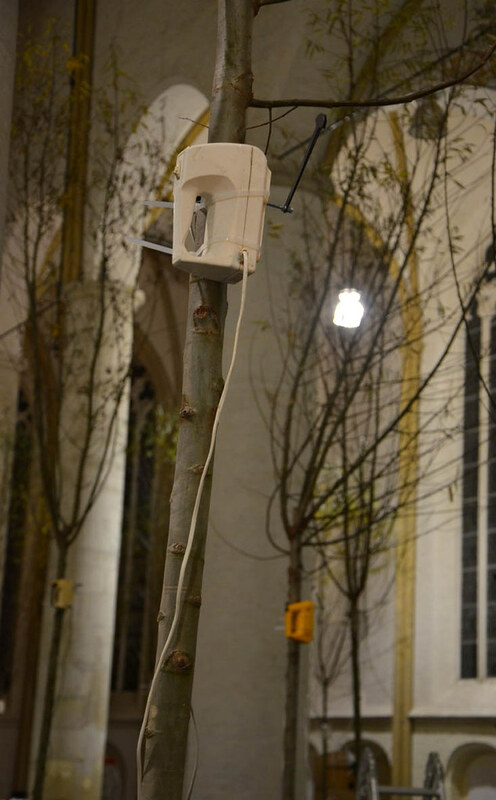 The trees rustle on command: by onlookers dialing a cellphone number and choosing one one of the three compositions. 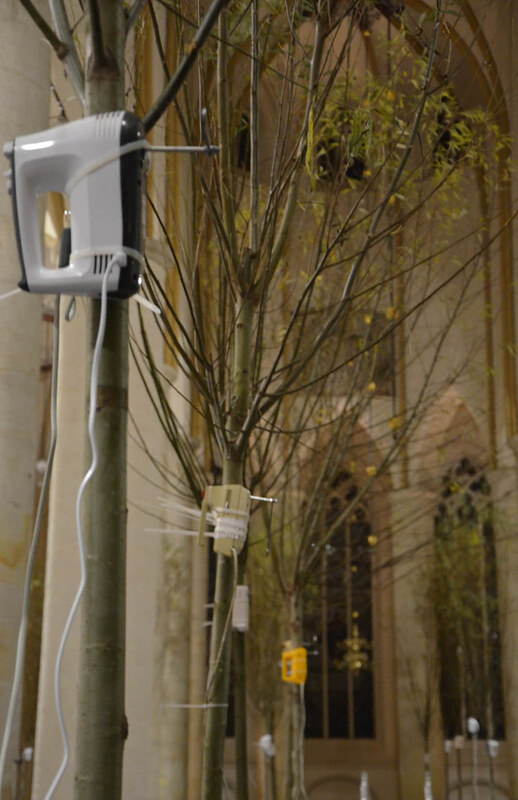 The household mixes attached to the trunks of the trees are then activated to make the tree rustle according to the chosen composition. 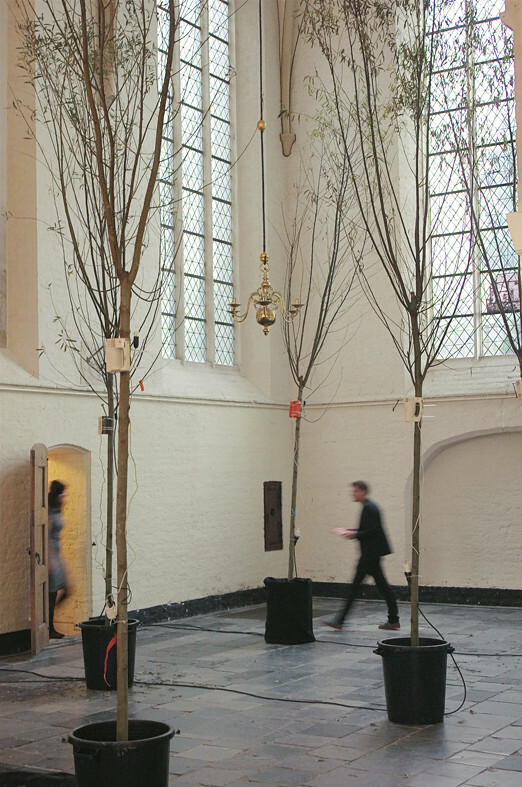 We also created a new work entitled ‘Letterlijk Muziek’ (‘Literal Music’), specifically for the small turret room. 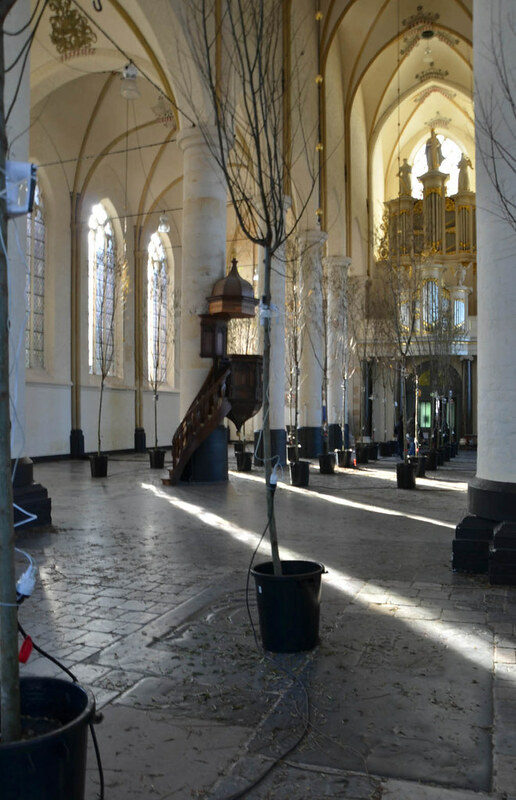 The exhibition was open to the public from 7 November to 7 December 2014 at the Bergkerk Church in Deventer and we had 5738 visitors. 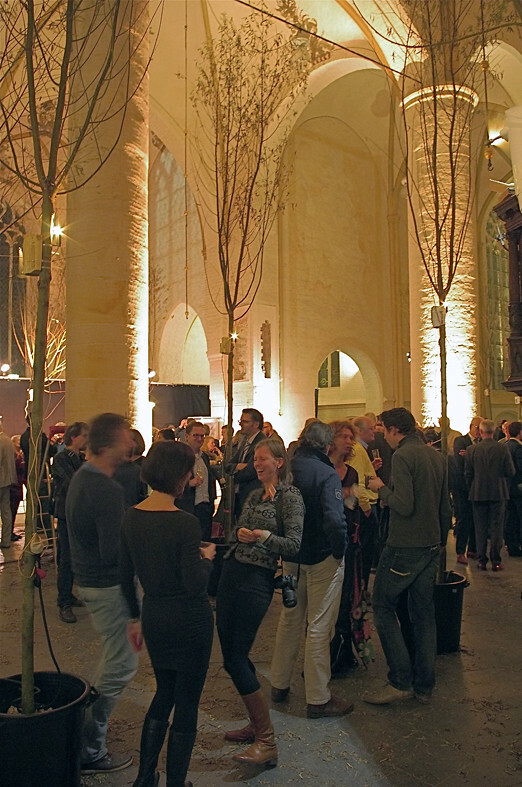 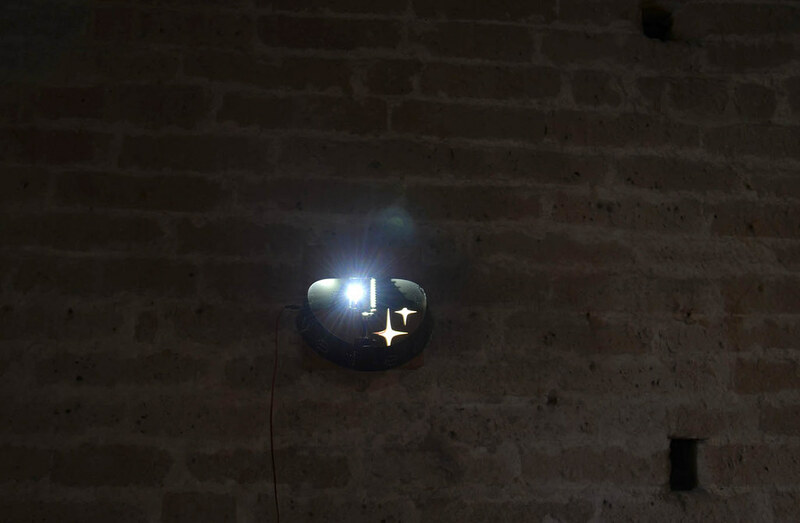 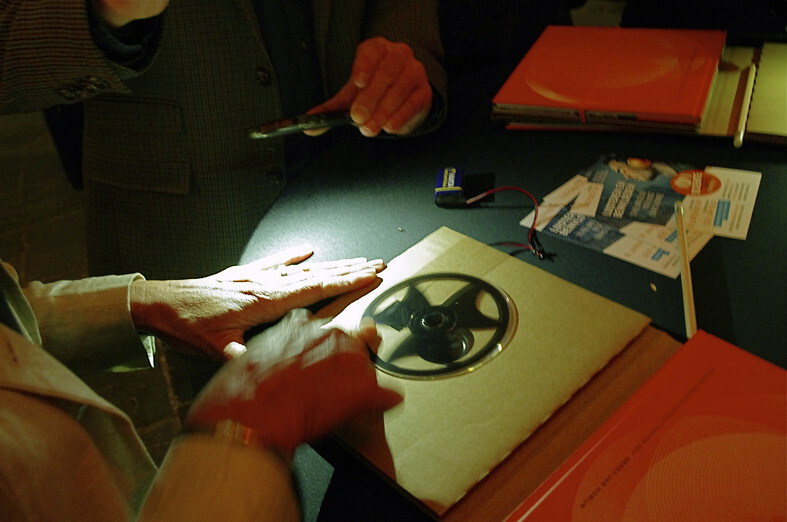 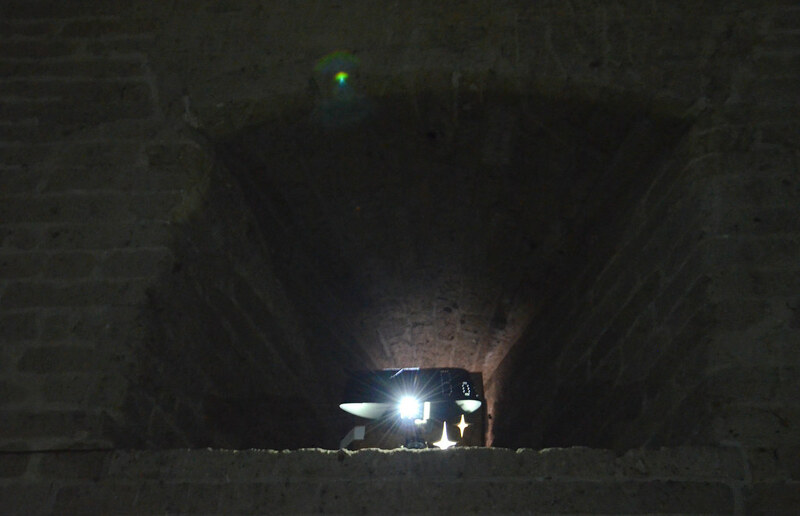 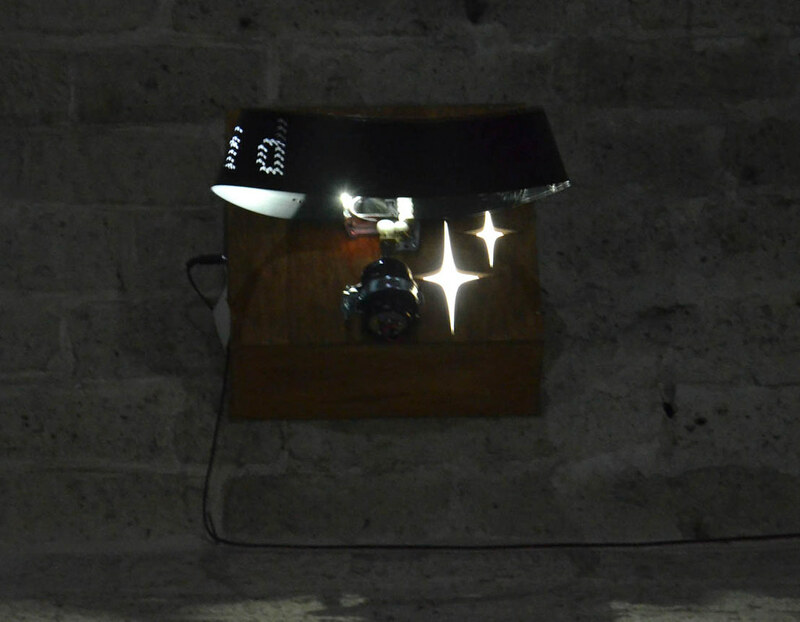 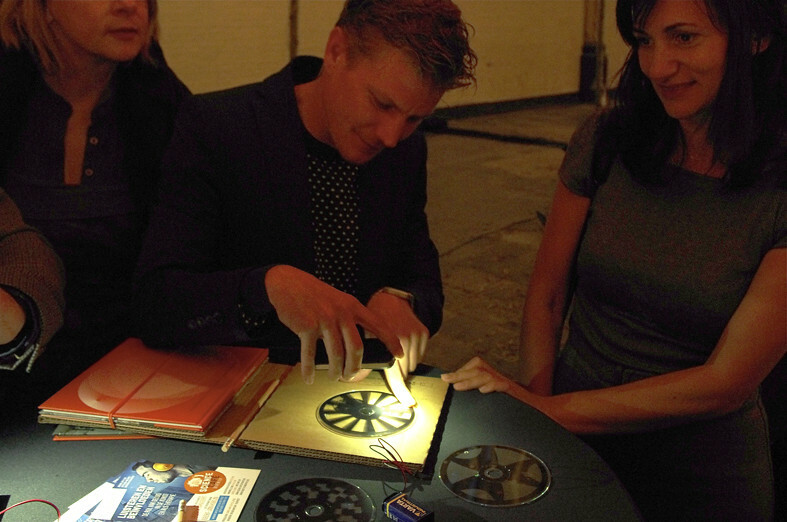 Staalplaat soundsystem has won the 2014 The Witteveen+Bos Art+Technology Award.